Title Insurance is different from other types of insurance in that it protects you, the insured, from loss that may occur from matters or defects from the past. 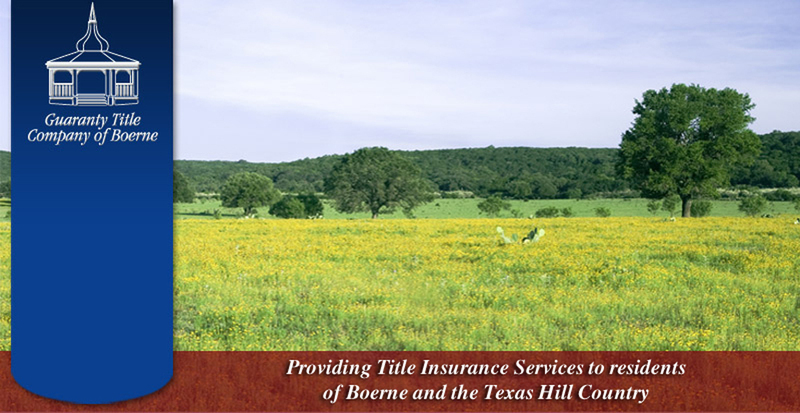 At Guaranty Title Company of Boerne, we are committed to providing the Title Insurance to meet your specific needs. There are two types of policies available and a Guaranty Title Representative will gladly answer any questions you may have. Feel free to contact us by phone or email.